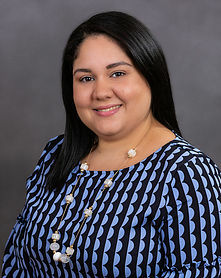 Stephany dedicates her time at the firm to diligently assisting Ms. Valdes in Probate and Guardianship document preparation, case management, and client relations, from inception to discharge. Stephany brings over five years of experience in different areas of law, which has prepared her to provide the firm’s clients with exceptional customer service. Prior to joining Irama Valdes, P.A. in 2017, Stephany has worked in various areas of law including Bankruptcy, Real Property, Personal Injury Protection and Civil Litigation. She also contributes a wealth of knowledge in property and casualty insurance from her four years of experience in the insurance industry. Stephany’s hobbies include spending time with her beautiful two-year-old son, cooking, jewelry design, and catching up on crime/law drama TV shows.